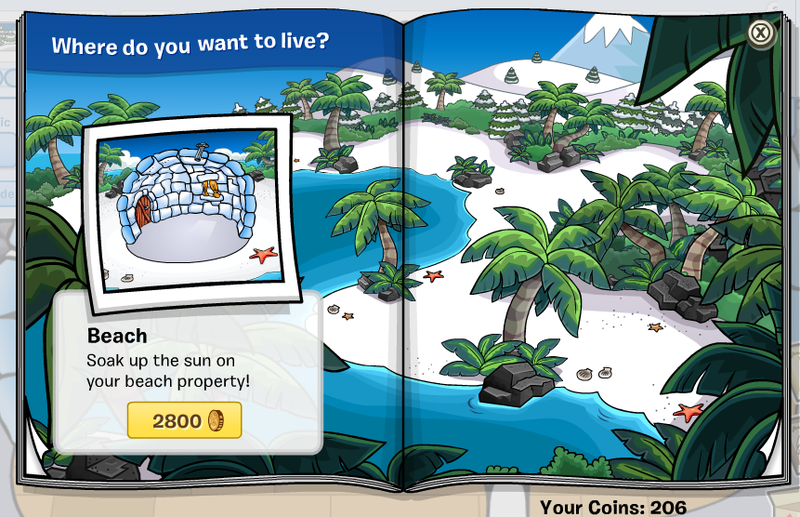 Club Penguin – More Exclusive Information On The Upcoming Adventure Party? 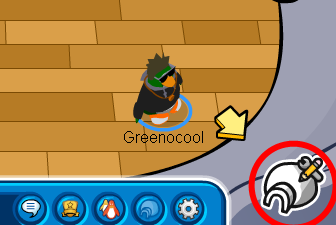 Hiya penguins!I am Greenocool,the blogger again.This is a pretty weird introduction to a post as I never introduced myself in this way again.But that doesn’t matter now.I am here today with this post – I wanted to discuss the upcoming party in Club Penguin because I am really excited right now. Don’t forget to comment below what you think first of all,after you read this post of course.Don’t forget to leave your ideas too! Now,I will just start off with some information about this party…And remember please that nothing is yet certain about this party because it hasn’t yet came,but here we go. As far as we all know this party is an upcoming event in Club Penguin and it’s already confirmed in the ”What’s New” blog on Club Penguin.There is no official date for now guys,but a good suggestion accepted by many people is the date August 22,2012. 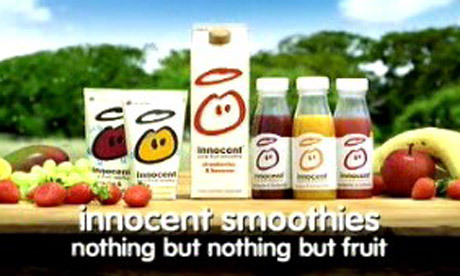 You might not even know this nor believe it,but here it goes – this party was first ment to be(supposedly)a Fruit Party – its official name was also known as Fruit Party 2012 a few days ago actually.So basically Club Penguin is making a collaboration with another company – it’s not so surprising.It’s their 3rd time already(first time – ”Marvel”,second time – ”Shake It Up”! ), but the different thing this time is that the company they are in-collaborating with is not owner by them.That makes it different. If you ask me,it’s better if you just look it up on ”Google”. This is the third sponsoring party. First was Marvel Super Hero Takeover and then the Make Your Mark: Ultimate Jam. This is also the first time the Club Penguin joined a different company NOT under the Walt Disney Company (Club Penguin, Marvel, and Shake It Up are all under the Disney name). This party is for kids to be more excited about fruit and gain interest.It is also for commercializing. There will be an igloo contest during the party. There is going to be a new mini game coming out for this party. According to Polo Field‘s tweets on July 29, the party is not really a “fruit party” but more of an “adventure party”. This might mean there is an Adventure Party for 2012 after all. 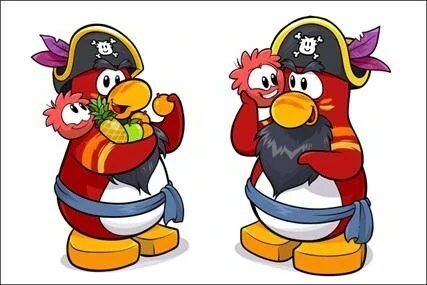 Here’s a picture of Rockhopper carrying fruits during the party.Might be another proof for it,right? 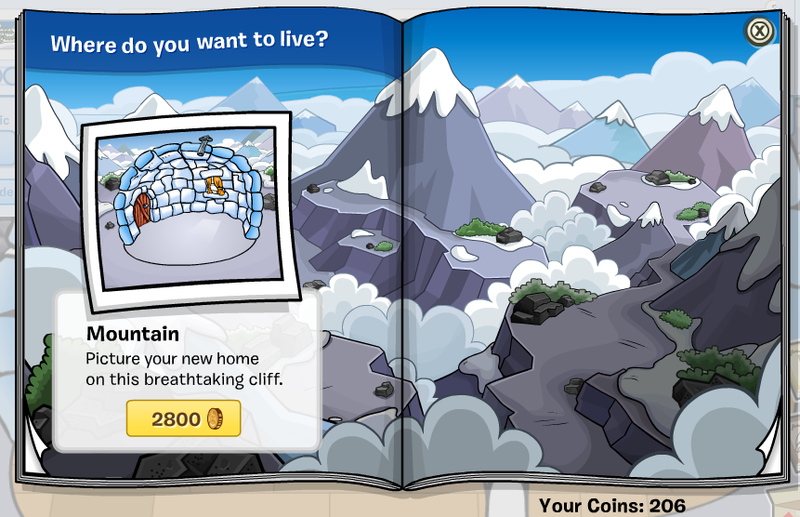 Club Penguin – What’s New In August 2012? Hey penguins.It’s me Green on line again.And it’s time to report some stuff about Club Penguin again – this time we have the Club Penguin blog.So as you know,every year since 2010 Club Penguin makes a ”What’s New In August?” – it is made especially for August.I don’t know why though. Probably because August is currently the most unknown month in Club Penguin. 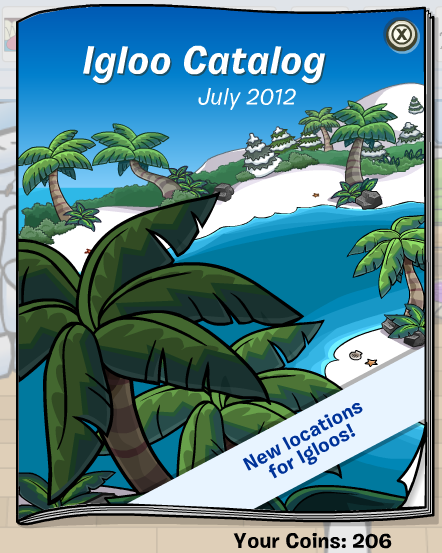 And if you keep on reading at the Club Penguin Blog,you will see more exciting stuff! Cool,huh?If you can’t figure out anything from these pictures,don’t worry! Club Penguin is gonna release more sneak peeks soon!Just keep checking out this blog here for the latest Club Penguin news and updates!Now… for something unusual – very unusual news! That’s awesome,don’t you think guys?An official CP blogger that isn’t from the team?That is something new,unusual but still awesome!Comment below about this guys!What do you think about all of this cool stuff happening around in Club Penguin? Daffodaily5 will be posting UK-exclusive news and updates right here on the What’s New Blog! She’s really nice, so make sure you introduce yourself. Hey guys!Remember the post I made yesterday?In it I talked about the new cool Club Penguin glitch everyone was talking about.So apparently,I have studied it enough to finally tell you the secret to it! 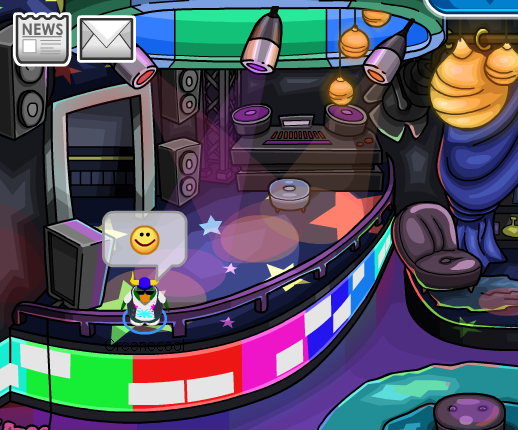 Club Penguin Glitch – Get On Stage At V.I.P. Room! Hey penguins!I am here today with a new glitch for you guys…many penguins have been wondering how it works,and even I am still studying it… But,it might not be considered very new too – it was here a few days ago,so I will just show it to you. Big Time Rush – Til I Forget About You – CPMV Collab! If you have noticed this is a CPMV collab – that means that I didn’t work alone.I worked along with Black20005 again,and therefore – I made 2 CPMV collabs with that dude!This time Black was first,and I was second at the parts.And another amazing fact – this CPMV was completed for 4 days! We worked really hard on it and we really hope you like it! That’s about it for now guys,but stay tooned for more here! Kurt Calleja – This Is The Night – CPMV Collab! Hey guys!If you haven’t checked my videos in a while and you should if you’re a Green fan,you definetily would of not noticed the awesome new CPMV specials released just for the Ultimate Jam 2012. If you have noticed this is a CPMV collab – that means that I didn’t work alone.I worked along with Black20005(formerly Blacky2005).I did my part and then Black did his part.The idea of the people behind the penguins – in the backgrond,was actually Black’s idea.And also,an amazing fact,this CPMV was completed fully for 2 days.We didn’t work much on it but it turned out great! 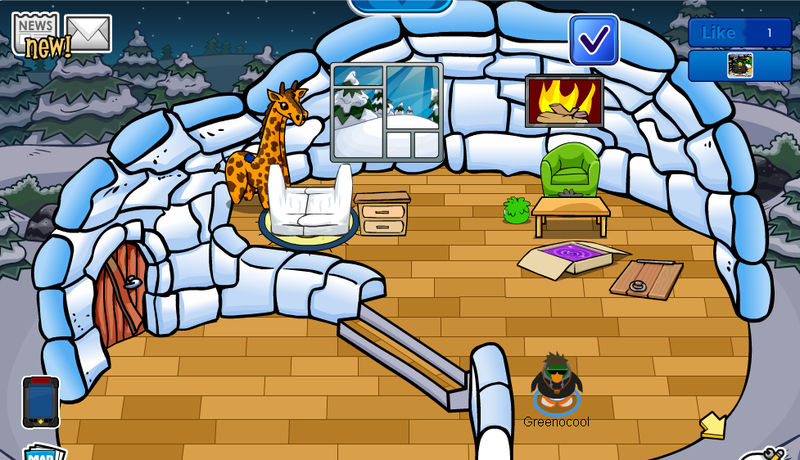 Club Penguin – A New Igloo Experience! 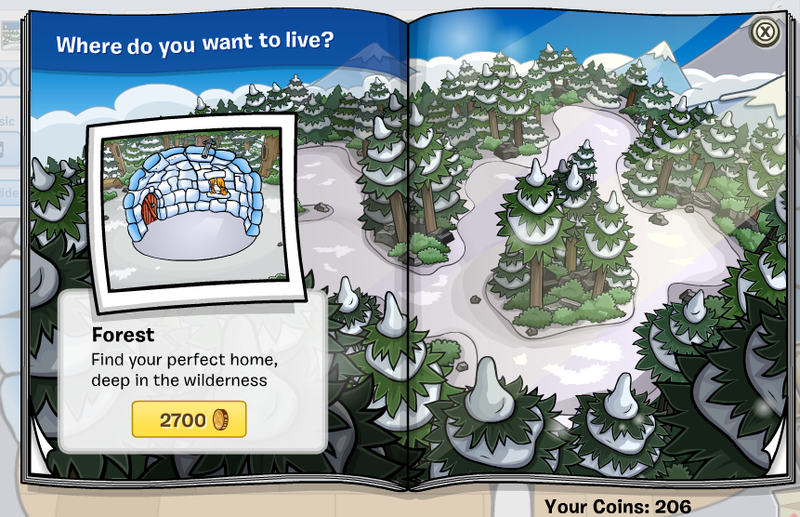 So first we have the igloo background – it is darker now. 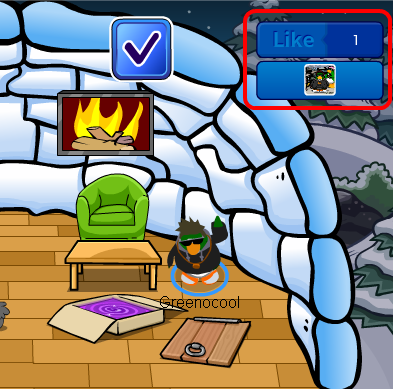 And then we have the like bar.With the like bar,everyone who visits your igloo and likes it,can just press ”Like”.Penguins can do that once a day and on different saved igloos. 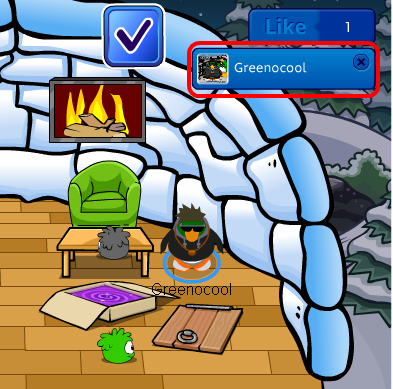 You can edit your igloo by clicking on the new igloo icon at the down right corner of the screen – right next to your chatbar and options. 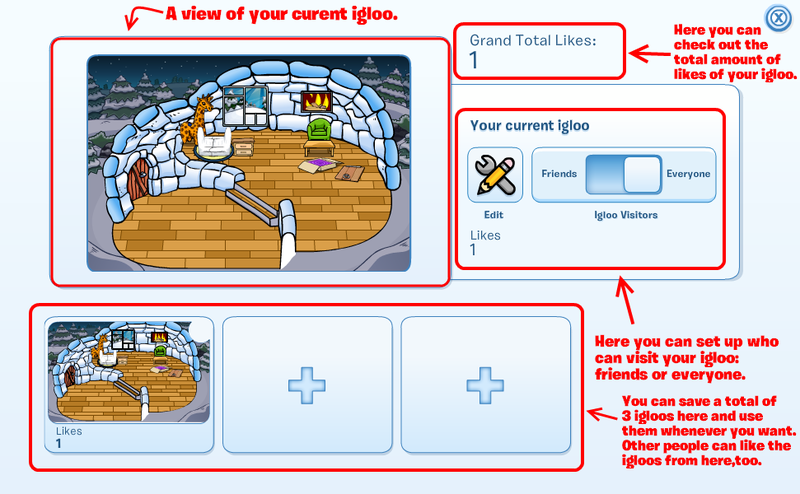 After that,you can see your current igloo look,add more new igloos and save them,see how many likes does your igloo have so far,set up who can visit your igloo(friends or everyone),and etc. 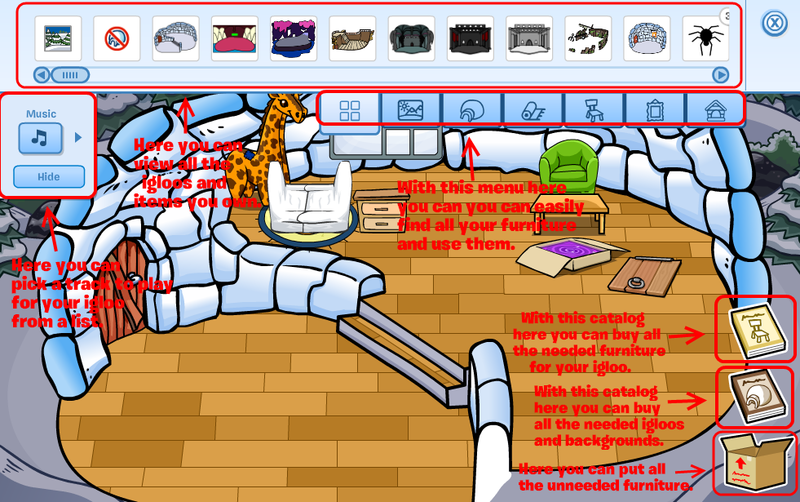 If you click on the ”Edit” button you will be taken to a menu where you can change to different igloos,put furniture and items into your igloo,put on music,buy new furniture and igloos,and including a whole new feature: you can now buy different background for your igloo so you can live on a mountain or beach for example!